Delivering constant contentment and the style you covet, carpeting is one of our favorite comforts of home. Carpeting remains one of the industry’s most popular ways to floor, no doubt due to its sheer variety of products for both commercial and residential settings. At Carpet One Floor & Home in Jacksonville and Saint Augustine we offer up all the latest in fine carpeting and related products- with plenty of beautiful collections for all budgets and tastes. 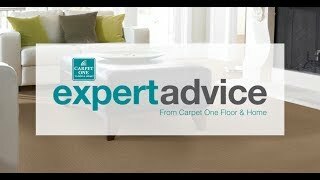 Let’s further explore carpeting and why it’s a great choice for home or office. Are you looking to install some new carpeting? There are many factors to keep in mind as you begin your shopping journey. There are many important questions one should consider before making a carpet selection. Is your space prone to heavy foot traffic? Do you have young children in the house, or a pet dog or cat? Are you carpeting a space that’s prone to water exposure? Your carpet’s pile, or fiber, will play a vital role in your rug’s long-term function. Synthetic fibers tend to be more budget-friendly, and are available in a wide range of materials. Materials like polyester and nylon are also quite durable, and tend to be quite soft. Natural fibers, like wool, have a rougher feel to them, and can be pricier. Frieze or “shag” carpet pile is twisted and unruly, with a trendy look. Level loop carpet pile has short loops and is very eclectic, yet works well in high-traffic areas. Patterned carpet pile is intricately trimmed and has looped fibers, for more formal looks. Textured carpet pile consists of rough, longer fibers, for an enduring and casual look. Plush carpet pile is very velvet-like, with a fancy appearance. Carpeting, for many, is a household favorite. Offering up ample warmth and comfort, carpet adds instant ambiance and texture, often along with a vivid pop of color. It can create all types of appealing looks: effective instantly. At Carpet One Floor & Home, we offer one of the Florida coast’s most expansive inventories of fine carpeting products. Here, you will encounter some of the industry’s best loved carpet brands, as well as some intriguing Carpet One exclusive brands. As part of the nation’s largest cooperative of independently operated flooring stores, we can offer you competitive pricing and unmatched selection. Visit our showroom locations in Jacksonville and Saint Augustine today, and discover a carpet that’s your best match. Life can certainly have its messier moments, but that doesn’t mean your carpet has to suffer. From juice spills to ink splatters, learn how to remove common stains from your rug. Knowing the fiber composition of your carpet will go a long way in determining care requirements, as well as ongoing function. You might even say fiber is fundamental.